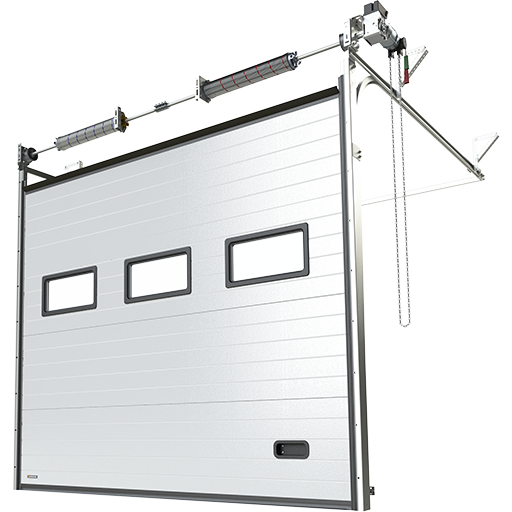 Sectional doors are suitable for a small workshop and a large warehouse hall. It is equally important for every investment to create safe and comfortable conditions for business development. 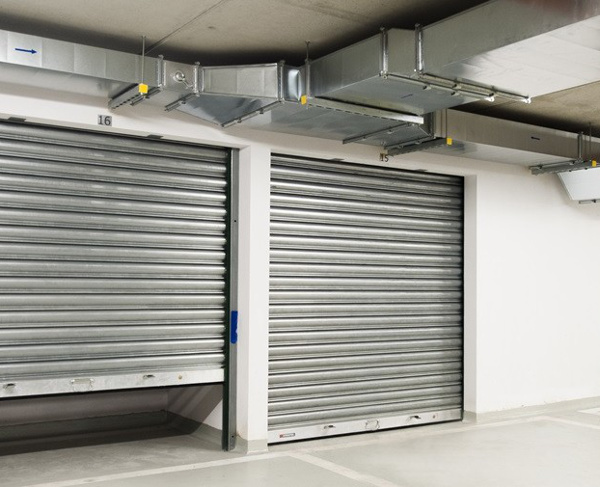 This was the reason why we manufacture sectional doors. 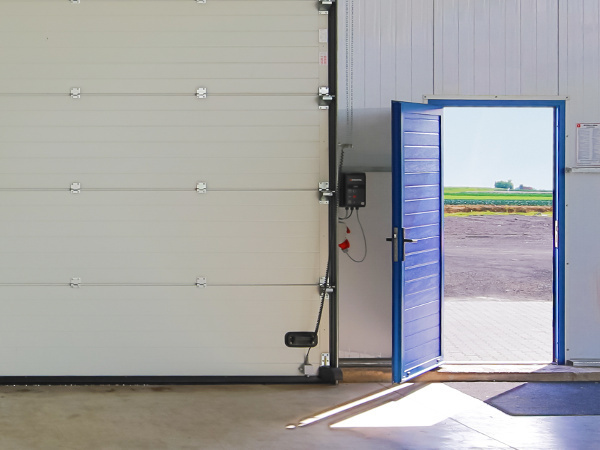 A choice of sectional door depends on their intended use and location where the door in installed. 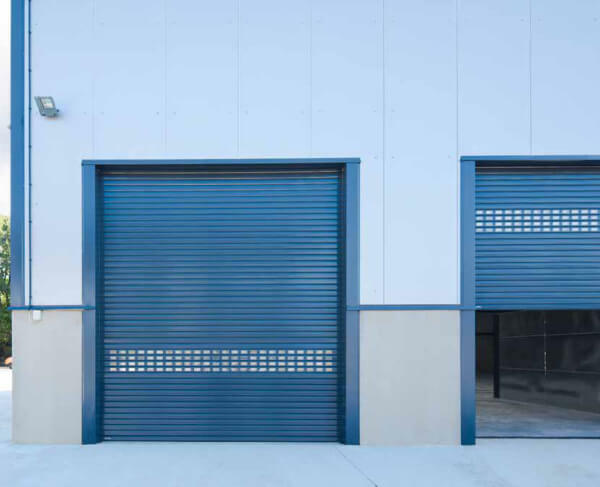 Steel doors produced in two basic versions K2 IS and K2 IM are perfect for industrial buildings. The sections of the door are 40 mm thick and they are filled in with polyurethane foam. 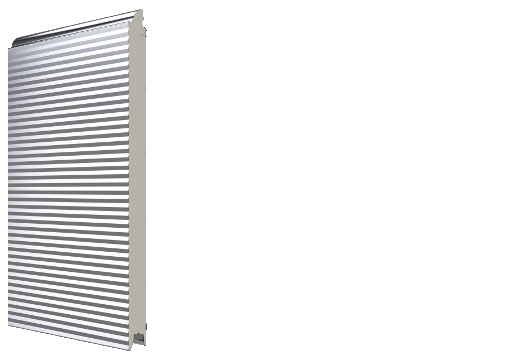 The warmest door KRISPOL K2 IS 60 is recommended for facilities requiring higher thermal insulation. Along with the steel sectional doors we also offer aluminium doors K2 IA and K2 IP. 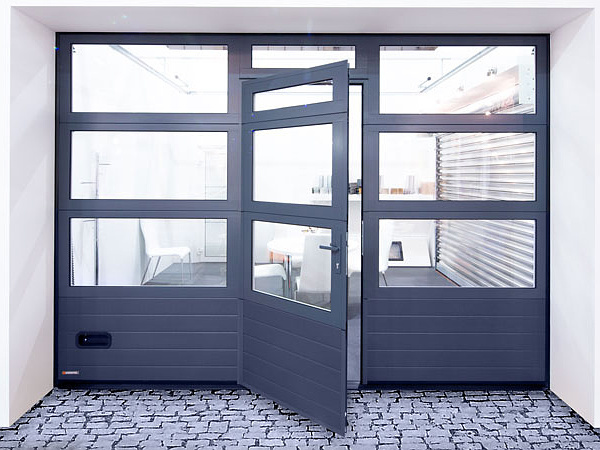 K2 IA door with narrow embossment looks identical as its steel counterpart K2 IS, however it is lighter and has a higher corrosion resistance class. 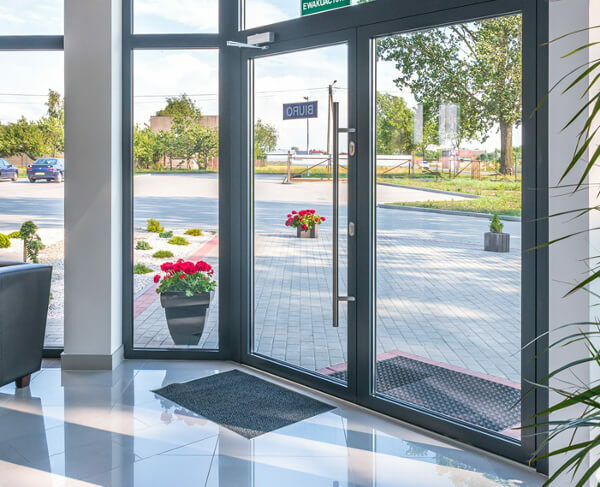 An interesting alternative for full doors are fully glazed K2 IP doors, which are characterised by modern design and therefore provide more daylight to the interior. 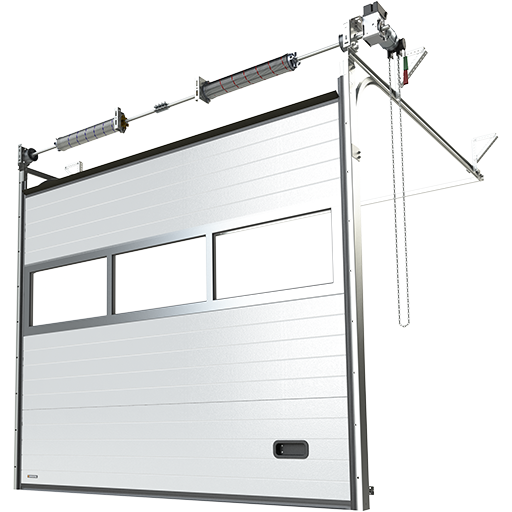 K2 IS steel doors offer reliable protection of industrial facilities. 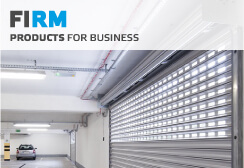 Users value their durability, resistance to weather conditions and solid structure. 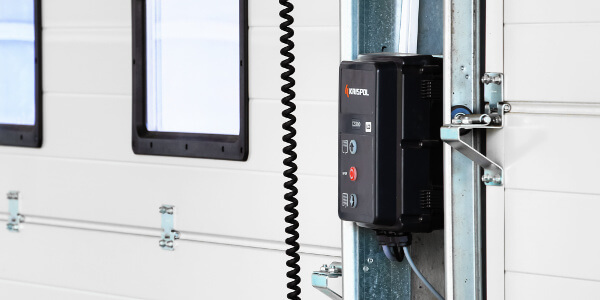 Daily operation is facilitated by a broad selection of automation and accessories. 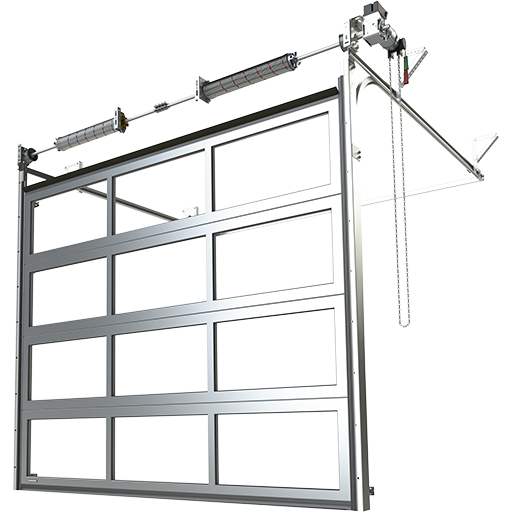 K2 IM steel door is a combination of solid steel construction with a light an innovative form, effectively protecting every company building. Their style matches modern buildings. The panels are plain and have a unique embossment pattern. 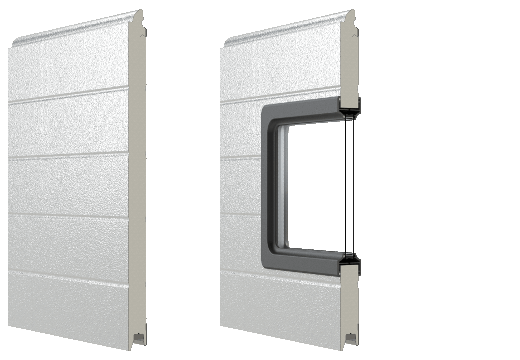 K2 IA doors are made of aluminium plates and filled with 40 mm thick polyurethane foam with insulation properties. Aluminium makes it possible to reduce the weight of the door shell nearly by half compared to a steel door. 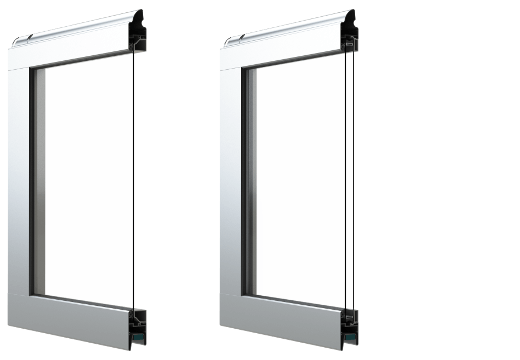 Doors with glass sections have modern design and provide maximum daylight. 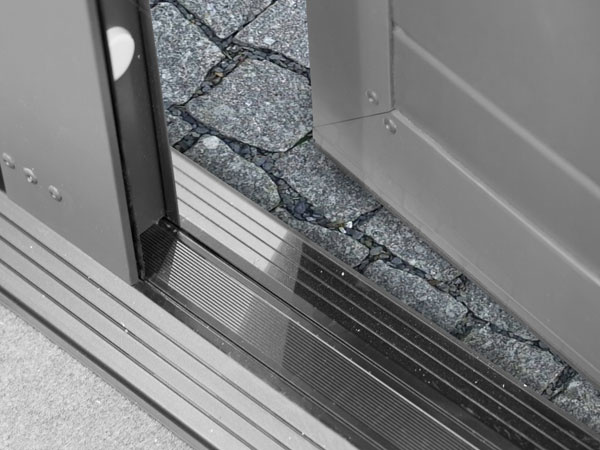 The filling of door panels is made up of a single or double pane of durable and scratch-resistant plastic. Flexible offer allows to meet different expectations. 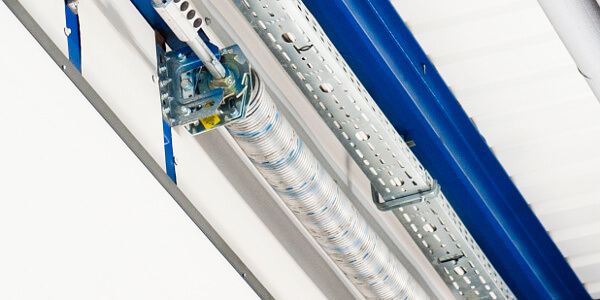 Most of individual solutions are made on location in our factories. We know that every meter is precious therefore we help to optimize the space. A door can have 11 different types of railings. 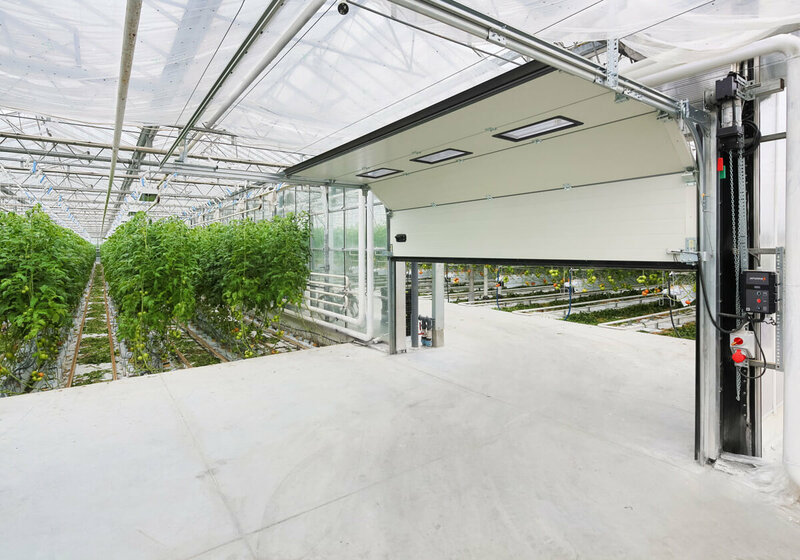 These include vertical railing guides, solutions for buildings with low and high lintel and buildings with sloped roofs. 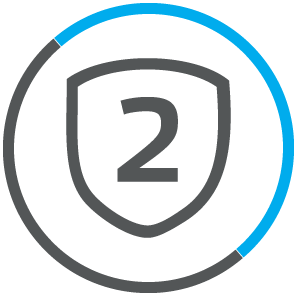 We are continuously developing and improving our products. We offer numerous functional accessories. Side and service doors matching the main doors allow to enter the facility without opening the whole door. The highest quality of raw materials and automatics by renowned producers guarantee solidity and reliability. 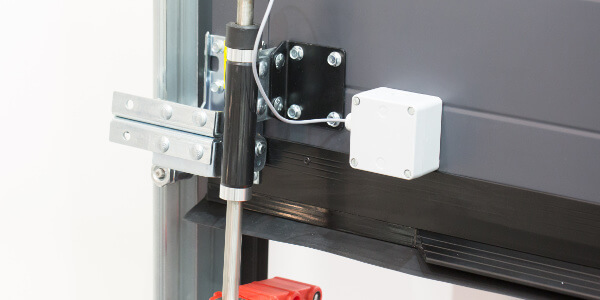 A comfortable doors is easy to operate, reliable ad quiet. The comfort of use is guaranteed by the best automatics. 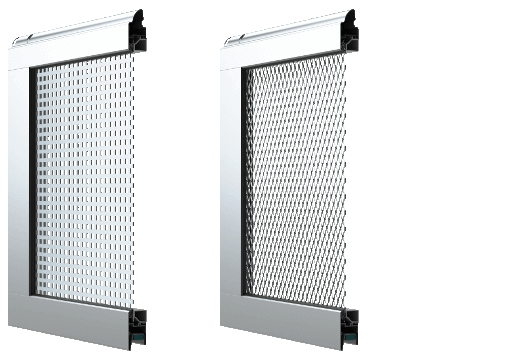 The mechanisms applied in our products are the devices provided by renowned producers. 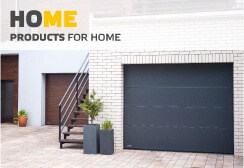 They guarantee an easy and non-problematic service as well as connecting the door with any ‘intelligent home’ system and alarm installations. See the film, where we present the functioning of the block preventing the door from pry opening.